Somerset Farm is a 55+ Condominium Community located in Sycamore, Illinois. Your new home is waiting for you. 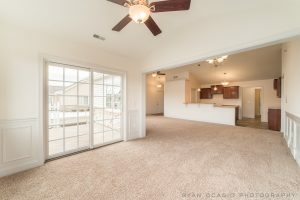 Our professionally designed floor plans incorporate the features that you want and provide you with the ability to enjoy your new home for many years to come. Our floor plan is designed to provide you with an ideal mount of space, privacy and convenience. Keep it simple and choose from the many standard features or if you want to have a little more fun choose from the unlimited options. Remember the only limit is your imagination! There is only one home left for sale. If you have been thinking about Somerset Farm now is the time. Brian Grainger is the exclusive builder for Somerset Farm Sycamore. We look forward to meeting and working with you. Don’t forget to just have fun because it is your totally your choice and your home. Let it reflect who you really are. Contact Linda Tillis Century 21 Elsner Realty for details 815-751-3159 and to schedule a visit to our model home.